For landing pages that are easy to build AND convert, you can’t beat Crazy Egg + Unbounce. A Crazy Egg heatmap simplifies the process of figuring out what users do on your site. It’s a visual representation showing you where users click and what they do. 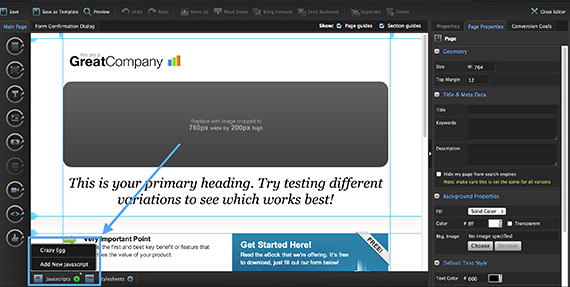 Unbounce helps you produce higher converting landing pages and makes the task of creating them simpler and more fun. Put them together, and you have something that’s, well, crazy amazing! 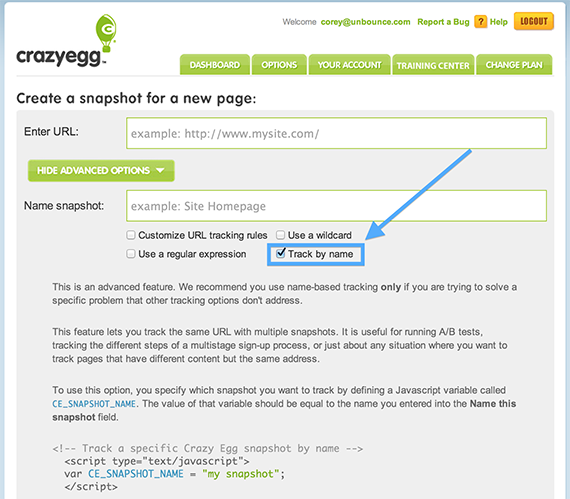 Create a new snapshot in Crazy Egg, setup to Track by name. 3. Log in to Unbounce. 4. Open the page you wish to use a Crazy Egg on. 5. Edit one of the variants. 8. Save and Publish your changes. 9. Repeat steps 1 through 8 for each variant. Please make sure that each variant you want to test has a weight of 1 percent or more. Note: Crazy Egg will only start collecting information after someone visits the associated page variant. 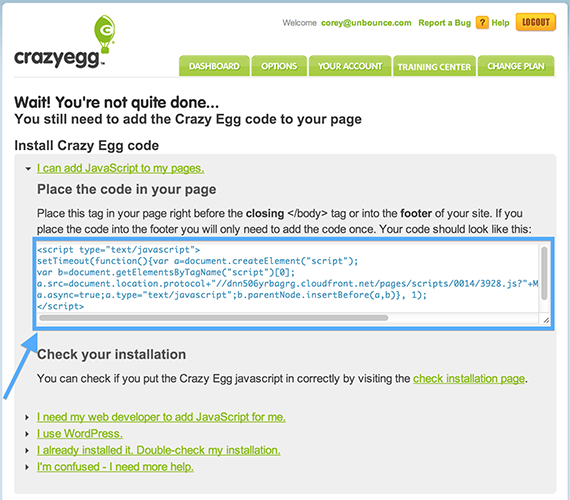 If you need help navigating Crazy Egg, contact support@crazyegg.com. 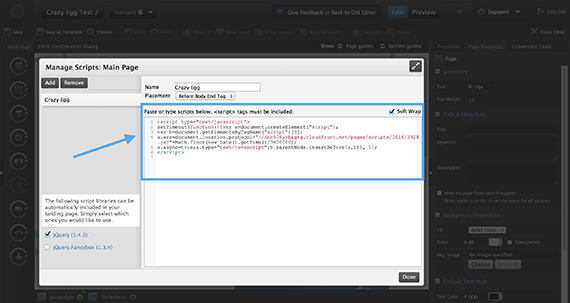 If you are having trouble setting this up with multiple variants please contact Unbounce at support@unbounce.com. Once you have a new visitor to your Unbounce landing page, Crazy Egg will start tracking all visitors’ actions and generate a heat map for you to analyze.